Gear for Goals collects sports equipment for kids in need during mega sports gear donation drive at the Schaumburg Boomers. 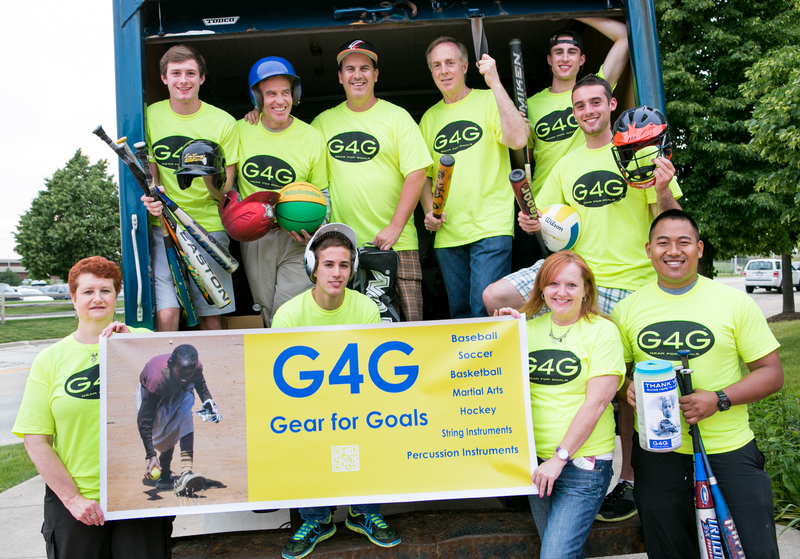 On Friday, June 21st, 2013, Gear for Goals (G4G) partnered with the Schaumburg Boomers Baseball Team to present a large scale sports and musical instrument donation drive. On this day, G4G asked fans to bring along new and used sports equipment and musical instruments to donate to children in need. Fans came out in full force to support the effort and over 2,500 pieces of equipment were donated during the event. The Schaumburg Boomers Baseball League also made a donation to the cause. 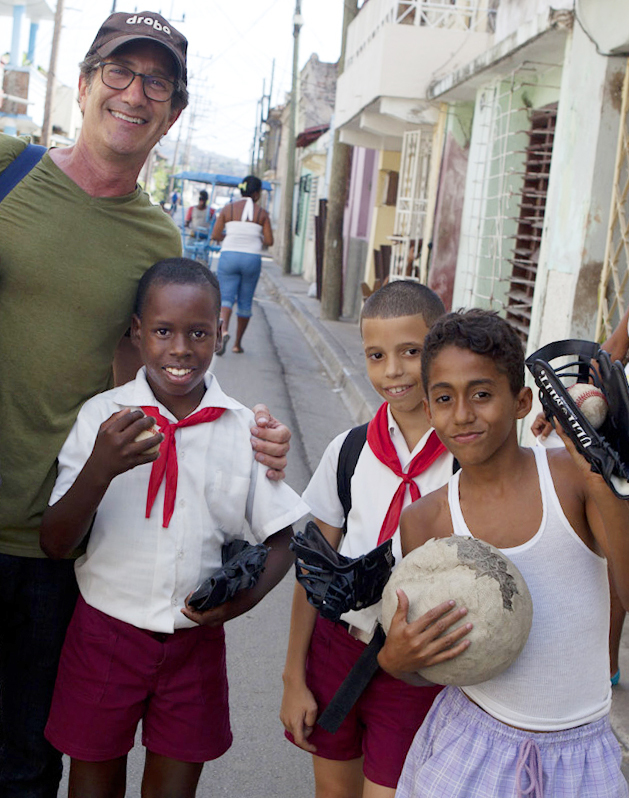 G4G Compassion Associate and World Renowned Photographer Dan Borris joins the effort to bring joy of sports to children of Cuba during recent trip. Since Gear for Goals’ launch the summer of 2012, over 7,500 pieces of sports equipment and uniforms have been provided to underprivileged children around the world. Gear for Goals’ Mega Sports Gear and Musical Instrument Drive sought to fill a semi truck with donated gear to benefit children in need. In total, G4G aims to provide equipment to over 10,000 children globally this year through their 10,000/$10,000 campaign. Supporting the effort was G4G’s newly appointed Youth Ambassador, Jared Kuper who threw the opening pitch of the game. Jared is on a mission to raise awareness for childhood diabetes and with his new appointment with G4G, to impact the lives of children around the world. The event also featured a performance by pop/singing songwriting duo, Acoustic Truth, composed of Ryan Knott and Sarah Lendy, who performed “Save the Children” during the pre-game festivities. In addition to G4G’s team of volunteers including world renowned photographer Dan Borris who was on hand capturing the event, Josh Kerman who led a live DJ performance, and dance instructor Jennifer Eirinberg who choreographed G4G’s flash mob dance, other participants included individuals from Volunteer Match who came out to support the cause . G4G currently ships to the Dominican Republic, Kenya, Bolivia, Costa Rica, El Salvador, Guatemala, Russia, Philippines, Jamaica, India, and Cuba. For more information on ways you can support the effort, visit dreamweaver911.org. Gear for Goals is a project of Dreamweaver International, a 501c(3) organization located in the United States that provides education, healthcare, and humanitarian aid to the people of the Rift Valley of Kenya. Gear for Goals’ Vision is to see every child in the world have the opportunity to play, compete, and enjoy sport through equal access to necessary equipment and instruction. Gear for Goals’ Mission is to provide every child enjoyment, passion, and love of sport. Follow Gear for Goals at Facebook.com/GearforGoals. April Neill Public Relations is passionate about helping small businesses position themselves as experts in their industry. We offer a complimentary 30-minute in-person or phone consultation. Email AprilNeill@gmail.com to make your appointment today or call (312) 772-3832 for more information. Visit us online at AprilNeillPR.com. Follow ANPR on Facebook at Facebook.com/AprilNeillPR.